Scene75 Dayton is your place to go for fun! 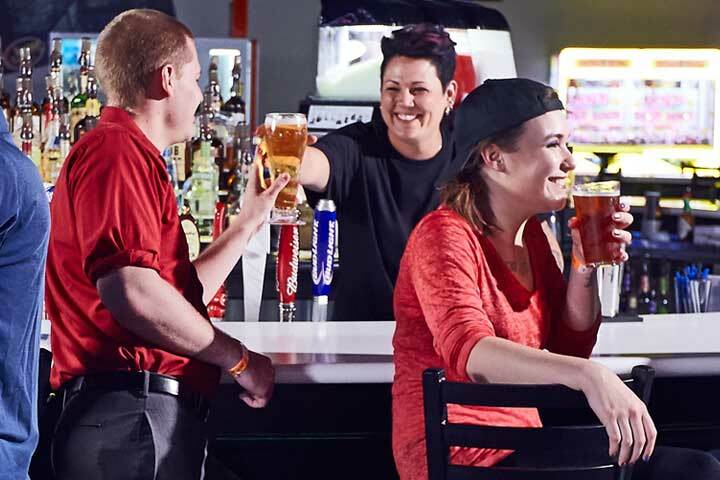 With 15 attractions, 140+ arcade games, and a full bar and grill, Scene75 has fun for all ages! 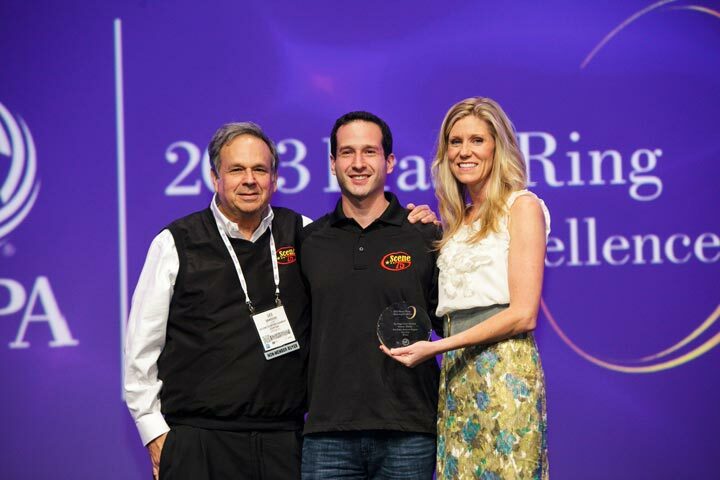 Not only is Scene75 one of the LARGEST indoor entertainment centers in the country, but it was also recently awarded #1 Entertainment Center in NORTH AMERICA by the International Association of Amusement Parks and Attractions. We’re not kidding around about being the best spot for a celebration or day of fun. So, come see for yourself what all the buzz is about! We’re saving Dayton from boredom! With 12 awesome indoor attractions, there is something for all ages to enjoy at Scene75 Dayton! Go-Karts, Laser Tag, 130+ Arcade Games, Mini-Golf, Inflatables, Mini-Bowling, & more! It is time to celebrate! Book your upcoming birthday, company event, or any other celebration at Scene75 Dayton! We take pride in giving you an experience you won’t forget! There’s more to Scene75 Dayton than just world-class attractions…We also have delicious food & drinks in an awesome atmosphere! 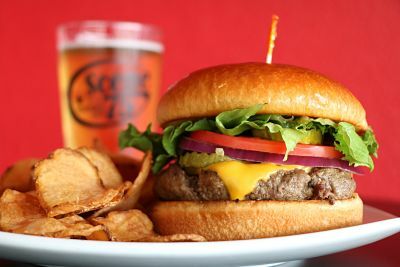 Anything from gourmet burgers to craft cocktails! By size, Scene75 Dayton is the largest indoor entertainment center in the country (124,000 sq ft). 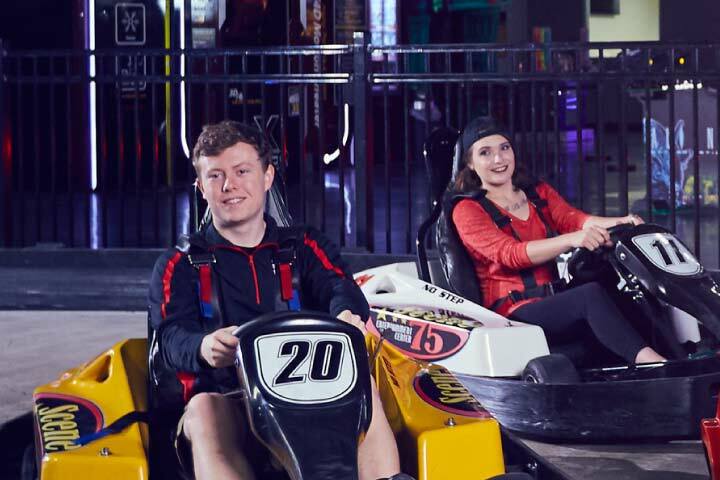 By entertainment value, Scene75 offers more than a dozen premium attractions, including indoor electric go-karts, a two-story state of the art laser tag arena, 130+ arcade games, and much more. By community values, Scene75 Dayton has accepted its leadership role within the community since it opened its doors in 2012 and takes this responsibility seriously – giving back through special events, such as our annual trick-or-treat event which attracts 5,000+ visitors each Halloween, contributing to education through our learn to earn program, hosting a special needs program the first Thursday of every month, and much, much more. So, what do I want Scene75 to be? I want Scene75 to mean something to you beyond just a massive building that provides entertainment. I want Scene75 Dayton to be a facility that facilitates; a facility where you can meet new people, where you can catch up with old friends, where you can tell your grandkids years from now that this is where you took your wife or husband on a first date, and where you can share memorable, and I mean truly memorable, experiences with your entire family. I want Scene75 to be a part of the community. A vital part. THAT is what I truly believe that Scene75 is. At Scene75 Dayton, we love to bring unique and fun events to the community. Join us throughout the year for patio parties, tournaments, celebrity appearances, singles events, prize giveaways, costume contests, and much more. Keep an eye on our online calendar for all of our upcoming special events. We can tell you about Scene75 all we want, but it’s not easy to describe all of the fun under one roof with just words. Come check out the virtual tour to see what it’s really like! Learn more about your visit!